Since 3rd of October 1989 the Centre belge de la bande dessinée shows everything about the Belgium comics in the Waucquez warehouse in Brussels. 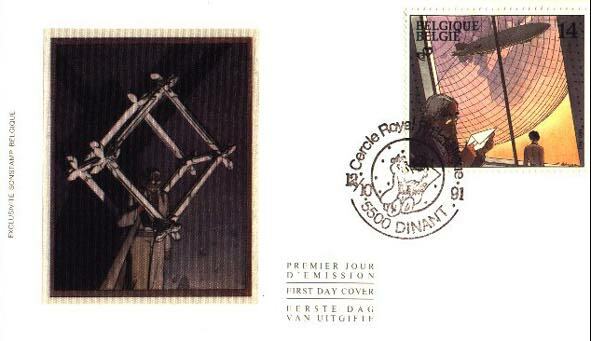 On its second anniversary the Belgium post issued four stamps with artists not yet published on a stamp. The third stamp is made by François Schuiten and shows Eugen Robick. 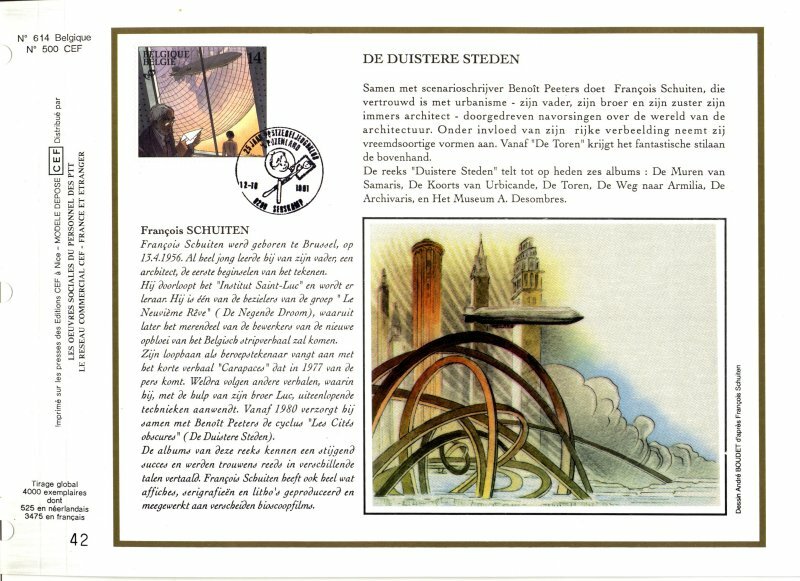 The booklet is also made by François Schuiten and shows the characters of the other artists coming together in front of the building of the CBBD. The stamps were issued on the 12th of October 1991. The first one is by Edgar P. Jacobs. The second one by Bob de Moor and the last one by Jean Roba.